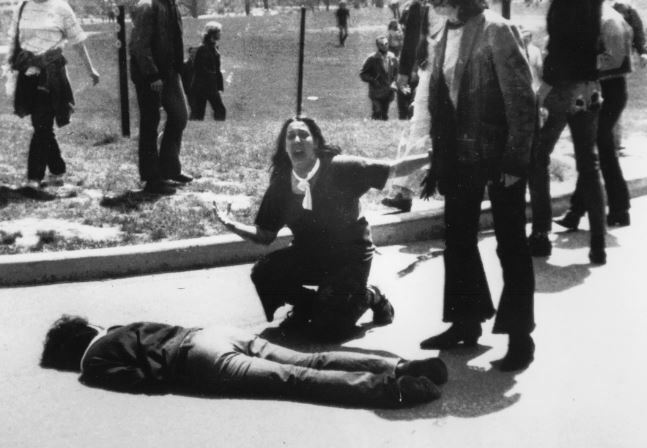 “I was a student who was trying to be a photographer,” said CBS News photographer John Filo of the day 45 years ago when anti-Vietnam War protests at Kent State University led to teargas, and ultimately gunfire. 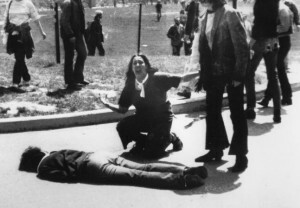 Four students were killed, nine others were wounded when Ohio National Guardsmen fired on unarmed student protesters. Filo–the student who hoped he might capture a decent photograph of the protests–was there when the shots were fired, and took a picture that would become iconic in American history. It would also win him a Pulitzer Prize. The photo that won the Pulitzer, Filo said, was taken when he had nearly run out of film. He took the shot, took one more, and was done. The families of the students who died 45 years ago say they have never gotten justice for what happened that day. They continue their work at the Kent State Truth Tribunal.